Last week, Comrade Agrippah Gava (born 1956) narrated how he left Tekwane High School with a group of 34 other students to join the liberation struggle in 1976. He narrated how he went for military training at Mwembeshi in Zambia and was selected to go for specialised training in Russia. 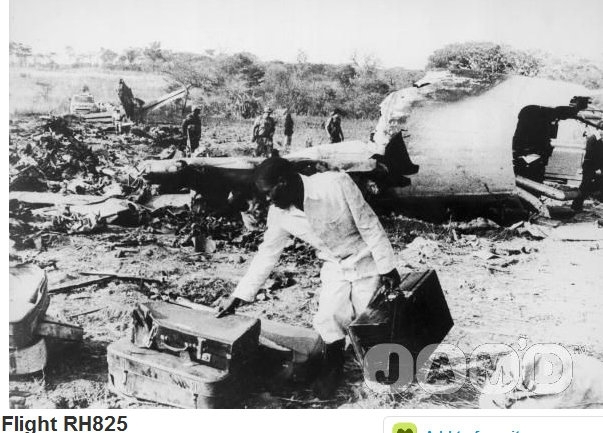 In this interview with Munyaradzi Huni, Conary narrates how the Rhodesian forces bombed Zipra bases in Zambia killing thousands of innocent people. He speaks about the Zipra response through the establishment of the artillery department where he became one of the deputy commanders and how this department, turned the liberation war course after hitting two Rhodesian Viscounts in 1978 and 1979. MH: After receiving specialised training in artillery in Russia, where did you go from there? Conary: After the specialised training, we came back to Zambia and at that time, Zipra was moving in another direction. Zipra was forming an artillery department. Prior to that there was no artillery department in Zipra. When this artillery department was formed, it was headed by Dumezweni or Andrew Ndlovu. I was deputising him together with Takavarasha. During that time, the Smith regime had stepped up its external bombardments of Zipra camps in Zambia. The regime was killing people abroad and there was need for every camp in Zambia and Mozambique to be protected with anti-air craft guns. As a result, there was a very quick move to train anti-air craft people and to make sure that each and every camp, even a refugee camp had to be protected against Smith's air raids. MH: Why had the Smith regime resorted to these air raids? Conary: I think they had devised a strategy of destroying the enemy or the problem at the source. Demoralise the comrades at their rear. Disorganise them at their rear. Destroy them before they cross Zambezi River and the border in Mutare and Chipinge. Destroy them in their training bases. Destroy them in their refugee camps. I think it was a deliberate strategy. Whether they are refugees or not, destroy them because they are potential 'terrorists.' They used to call us terrorists. MH: So this department was formed when exactly? Conary: This was 1978 and I was appointed as one of the deputy commanders in charge of this artillery department. The formation of this department meant the establishment of an artillery camp. A camp solely for artillery where you train artillery only. This department was at the army headquarters in Zambia. Before the formation of this artillery department, I was the base commander at the artillery base. But this was just a base without a proper department. At this base we were training comrades in artillery using instructors I had received training with in Russia. We were training them to use Gun 75 mm, B10 guns, ZEG-U guns, air-craft missiles, Grad-P and many other types of artillery. So we were busy training comrades to meet the requirements. At the same time, the Zambian army was churning out or producing regular battalions for Zipra. We had guerillas moving in one direction, infiltrating the front but we had regular forces being trained. MH: What was the idea behind the training of these regular forces? Conary: Regular forces are forces that take over territory. Guerillas just hit and run. Regular forces occupy. So the Zambians were busy training our regular forces. So those infantry comrades who were being trained at Mlungushi had to have artillery attached to them and these comrades responsible for artillery were being trained at our base. Like I told you at this base, I was the base commander before I moved to the artillery department at the army headquarters as one of the deputies. MH: We hear reports that as base commanders, you ate good food and were generally treated very well? Conary: It wasn't like that at all (laughs). There was politics about food of course here and there but in most of the camps, it wasn't like that. I remember at one time at Chikumbi base, the issue of food became politicised but it wasn't something that was rampant. Of course, the commander would be in his position and food was brought from the kitchen for him. This base was located along the Great East Road. This is where we had most of our bases. The road from Lusaka to Chipata. When the artillery department was formed, I was moved from this base to the headquarters in Lusaka. MH: People have always wondered. What really was the determining factor for one to be promoted during the liberation struggle? Was it one's level of education, bravery or what? Conary: In our case, even on the selection to go for further training, the instructors had realized that we were good in what we were doing. I would say it was mostly out of merit. Even if you see the comrades who were in the Zipra High Command, you can see there were no weaklings. Those were comrades with determination and bravery. MH: As one of the deputies in charge of the artillery department, what were some of your duties? Conary: I was involved in the deployment of personnel in the artillery department. Commanders from the Southern Front that is the Botswana Front would come and request artillery weapons in such and such an area. It was my duty to deploy the right people and the right equipment. MH: How would they communicate with you at the headquarters? Conary: At the headquarters there were different commanders - there was operations department, communication, engineering, artillery, medical and others. In operations, there was the Northern Front - Northern Front Number 1, which was in Livingstone, Northern Front Number 2, which was in Siyavonga, Northern Front Number 3, which was in Kariba and Feira, then the Southern Front - the Front from Botswana. This Southern Front would stretch to Masvingo, Zvishavane, Mberengwa and Gweru. These would meet with those coming from the Zambezi, I am talking of places like Gokwe, Guruve areas and so on. MH: Did you have the opportunity yourself to be at the war front? Conary: Yes, I had the opportunity to go to the war front. I went to the war front deploying forces. There is one battle which I undertook. I however, don't want to mention a lot about it because if you hear the days that Mana Pools was attacked. Mana Pools was attacked, you are aware of that? MH: Yes, I am aware. Am also aware that the idea was to disrupt tourism at that time. Conary: Yes, that's true. Now do you remember that at the same time Kariba was bombed from across the river? I was involved in all that exercise. Some of the things can still not be talked about you know. You talk about people shooting down the Viscount 1 and 2 and you start saying I deployed this and that, it's not yet time to talk about that. We just say that we now had the surface to air missiles and we were training people to use them. And we deployed some of these people to the front. MH: I have interviewed quite a number of former ZIPRA commanders and all of them don't seem comfortable talking about the hitting of Rhodesia's Viscount 1 and 2. Why? Conary: (long pause) Uummm, You know what, they say in history, after 30 years records are opened. Its better people open the records and read from the records than to hear from me seated here. The time to talk about such issues has not yet arrived. Its better you go to the records and read what you can find there. MH: When I interviewed former ZIPRA commander, Ambrose Mutinhiri and he spoke briefly about the hitting of the Viscount 1 and 2, I received lots of threatening calls and emails from former Rhodesians all over the world. It looks like that exercise really hurt them. Can you explain why? Conary: The hitting of the Viscounts marked a turning point of Zipra's armed struggle. The air superiority of the enemy had been challenged. You remember that at one point General Peter Walls had to force his plane to land and he drove to Salisbury? His plane was almost hit by a missile. This operation showed that this was the turning point of the armed struggle. This was a very serious threat to the Rhodesian establishment. They were shaken because they never thought we would take our armed struggle to that serious level. Through that operation we had announced to the Rhodesian forces that 'no more planes in this area.' This was the signal. 'No more planes, we just want foot soldiers here.' This was a very big threat. As you may know, the Rhodesian air force was one of our biggest challenges during the liberation struggle. That was their most serious weapon, especially the helicopters and jet bombers. They would use these to terrorize our comrades. They would use the bomber jets to bomb our bases and camps, even refugee camps. In Zambia they even bombed bridges, in a bid to cut supplies to our bases and camps. So when we hit their Viscounts, the game changed. We had hit them where they thought there were at their strongest. The Rhodesian State Machinery was really shaken. We had weakened them and for sure we had weakened them. Now we had plenty of trained anti air personnel and we had plenty surface to air missiles. We had not yet even deployed some of the personnel and weapons. They cried foul when only a few had been pushed across the river. We had plenty waiting to be deployed. MH: This decision to challenge the enemy in this way, whose decision was it? Conary: You see what, commanders at the war front would report back to us their major problems. They told us that yes, as guerillas they would hit and run but helicopters would come and terrorize them. We got all these reports from the war front. These reports made us then decide to use the anti-aircraft. And you know what, uumm, I don't want to talk about this. MH: No, comrade, we want to hear the full story. Tell us. Conary: We are just talking about the anti-aircraft. We haven't spoken about the aircrafts themselves. Some of our comrades had received training in aircraft, but I won't go into detail about that. Conary: Some of these things you will read about them when the documents are opened. What I can tell you is that by the time the Viscounts were hit, there was a very big development that was taking place. We were planning for that phase where there was no more hit and run. We were planning to advance and capture territories. Capture territories from the enemy. This is why we now had battalions. We had very effective battalion commanders. MH: Who are some of these commanders? Conary: The one who quickly come to mind is Khumalo, the husband to Musi Khumalo who was some time ago in the broadcasting industry. He was one of the most effective battalion commanders. The Zipra battalion was under his command and was stationed across Kariba. Peter Walls tried to hit that battalion but was defeated. If you happen to meet someone called Madhliwambila, that was his war name. The Rhodesian forces attacked that base but they returned fire such that the Rhodesians retreated. This base was right across Kariba but those comrades were effective. Peter Walls even spoke about this battle. At that base we also had a battary commander - that is the artillery person giving support to the battalion. Our battary commander died during that battle. He was called Mahewu. He was hit while commanding his forces to fire. MH: Earlier on you said one of your duties was to deploy forces to the war front. How would you do this exactly? Conary: What would happen was that at the war front, the comrades would request artillery people. I would then identify the required number of comrades and their weapons. After this, sometimes I would take the comrades right to their crossing point to ensure that they crossed safely into Rhodesia. This is how I met Soft Magarasadza in Feira. I was deploying the artillery comrades. Through this exercise I got to know places like Siyavonga, Feira and so on. I also got to know many crossing points along the Zambezi River. MH: As someone who had the responsibility to deploy fighting forces, can you tell us which areas ZIPRA operated during the war? Conary: Zipra operated from Feira, Guruve. Have you heard about the Spolilo Battle by ZIPRA? You know that Spolilo is Guruve? So from Guruve, we operated in Mutorashanga, Zvimba area, Msengezi, Nemakonde, Hurungwe up to the Zambezi. We also operated in Gweru, Mberengwa, Zvishavane and so on. And at the war front, sometimes the Zipra comrades would go for joint operations with their ZANLA comrades. Two commanders from Zipra and ZANLA would just go into an agreement to fight together but this was not on a large scale. But we also got reports that sometimes the ZANLA and Zipra comrades would fight against each other. MH: This area you have said Zipra was operating is quite vast. Do you know approximately how many forces Zipra had at that time at the war front? Conary: I can't say the number. Numbers require the department of operations. MH: You indicated before the interview started that you saw horrific scenes at Chikumbi Camp when it was attacked by Rhodesian forces. Can you tell us more about what you saw and what exactly happened? Conary: What happened was that it was early morning. From nowhere Rhodesian planes suddenly appeared and they started bombing this camp. The commander of this Rhodesian operation was called Greenleader. From the helicopter, he was actually giving command to the Zambian Airforce to stay put on the ground and never to attempt to fight them back by coming into the airspace. I vividly remember him with his hoarse voice saying "eeehhh, this is Greenleader, we are not after you the Zambians! We are after the Rhodesian renegades stationed 10 km North of Lusaka! And therefore we are warning you, don't come into the airspace!" This was even reported on the news at 8pm that day through their Rhodesian war communique. So they bombed that camp. There was no protection for anyone. This was a refugee camp. There was no training taking place at this camp. This was just 10 km from Lusaka. It was just a transit camp. So defenseless people were massacred. Some ran away and escaped but many were killed. You could see body parts scattered all over the place. It was terrible and horrific. MH: When this bombardment was taking place, where were you? Conary: I was there inside the camp. I also had to run for dear life. All I know is that in that maze of confusion, bombardment and death, we managed to get out of the camp. The first bombs are the ones that killed many people. The Rhodesians were also dropping napalm drums, people being roasted like meat. There was nothing we could do to help. We could not even fight back. Like I told you very few people had guns and there were all light machines guns. After this bombardment, there came a time to ferry the injured to hospital and bury the dead. It was just too horrific. Ambulances came and the injured were taken to Lusaka, at the University Teaching Hospital. But as the injured were being picked up from the scene, I saw this comrade whose stomach had been ripped open. You could see all his intestines and all hanging outside. But he was not dead. He was calling for assistance. The medics had realized that this comrade was going to die and taking him into an ambulance was going to be a waste of space. They left him there calling for help. It was not only him, many were left calling for help but their condition showed that it was a matter of time before they died. I tell you such images never get out of your mind. They live forever. The medics reasoned that it was better to assist someone with high chances of survival. It was terrible I tell you. The lungs had been cut out, the liver in pieces but the comrade was able to call for help. What do you do? This happened even at the war front. We got reports were some comrades would ask their fellow comrades to finish them off after being injured in a battle. MH: How does this horror affect the mind? Conary: Anyone who has gone through this needs rehabilitation. This horror affects you the whole of your life. Up to now we have comrades troubled by hallucinations from the war. Those pictures never get out of their minds. Zimbabwean freedom fighters need a lot of rehabilitation. They saw a lot which was not supposed to be seen by a human being. Unfortunately, there was nothing like rehabilitation. You look today and think war veterans are normal. They are not. They can't be. It's not all war veterans who are normal. They have not been treated. The psychological effects of the war are still fresh and haunting them. MH: We will come to that issue towards the end of the interview. So those comrades who died during this battle, how were they buried? Conary: The Zambians provided us with caterpillars and we buried them in mass graves. We picked up human parts that were scattered all over the place. I don't even know the exact number of comrades we lost during this bombardment, but I should think the number was over 100. MH: Comrade, when you see such horror, do you cry? Conary: We were no longer crying. Conary: That is what death can do. You lose the heart of crying. Even the training prepared us for this. We were trained not to cry. Sometimes the war turned you into someone who didn't even smile. MH: In ZIPRA as you buried these comrades, would you conduct any rituals? Conary: There were no rituals. Things like ancestral spirits and so on, no we didn't do all that. MH: As ZIPRA what did you believe in as you fought the liberation struggle? Conary: We believed that if someone is dead, he is dead that's all. We didn't believe that there is life after death. Even when I came back from the liberation struggle I was like that. I believed that life is something you describe through historical materialism. Death is just a change of form. We believed that we had to fight the war ourselves. There was no ancestor to help us. Next week Conary will speak about the bombardment of Chikumbi base in Zambia where over 100 people perished.